Welcome to 2019 as the holidays are coming to an end. This can be your new home! 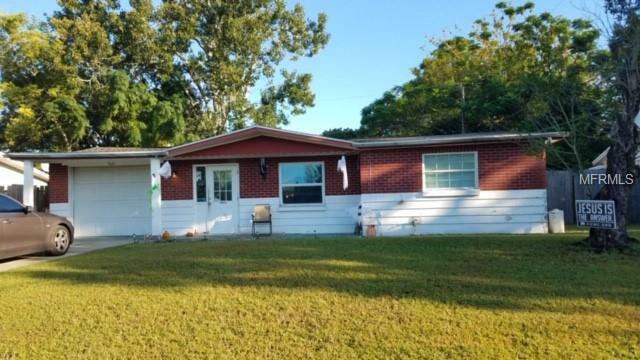 2 bedrooms 1 bath with a Florida room that was converted back from being a bedroom. 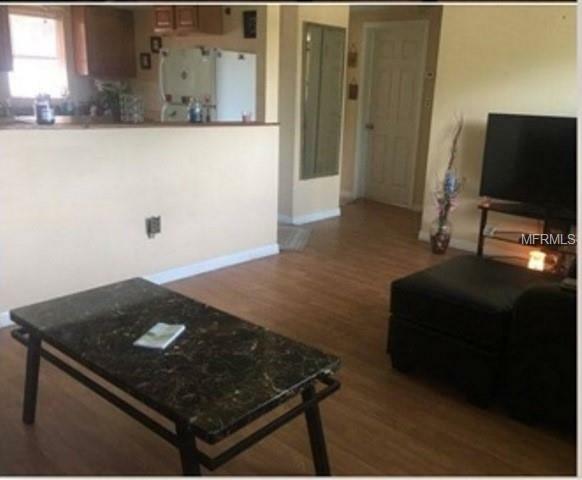 Kitchen features updated cabinets , pantry a breakfast bar, eat in area with tile flooring for easy clean and includes all appliances. All major repairs have been addressed NEW AC, SEPTIC, AND ROOF. 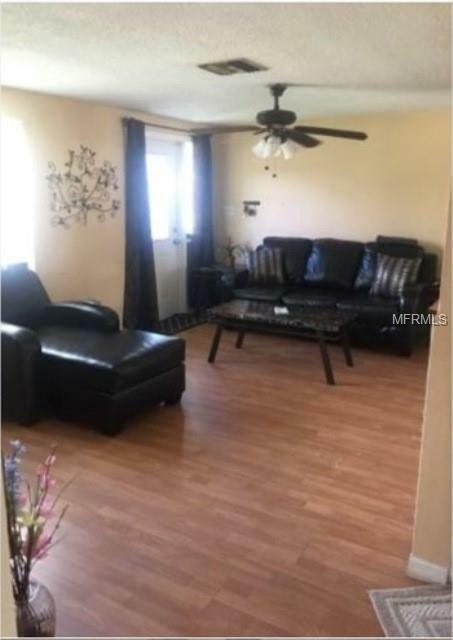 NO CARPET ONLY tile and laminate flooring very hypoallergenic in case you have allergies. If your not happy with the flooring go back to the basic terrazzo its underneath! BONUS. Now you have choices Did I mention the epic back yard with an RV gate Just waiting for you to add your personal touches. A POOL? Maybe a Play house for the kids a trampoline or even a garden. There is so much room to do what your heart desires. Back yard also has a covered patio and is all fenced in. GARAGE has built in shelves for all your storage needs. This area has NO HOA . 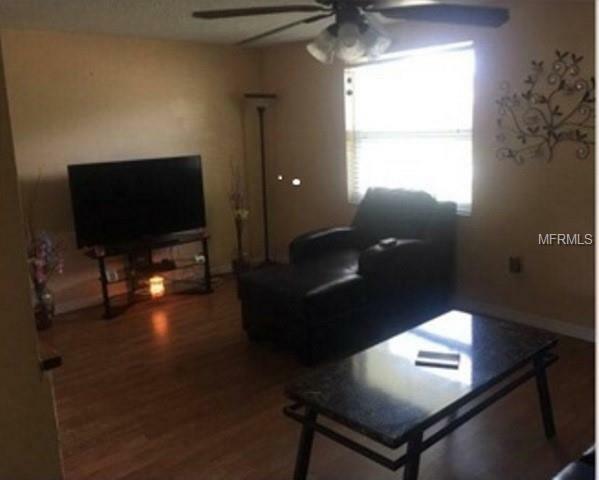 Your close to walk to Sam's club and QUICK access to us 19 shopping, restaurants AND its on the bus route.This is a must see to appreciate the many possibilities.